A few new pics from the Women’s Self Defense class taught by Egan and Alex on 11/17/13. These are shared by AnneMeike van Heezik, who you might know shared her story here on Paula & FOYeur’s blog: AlexOLoughlin Intense Study. 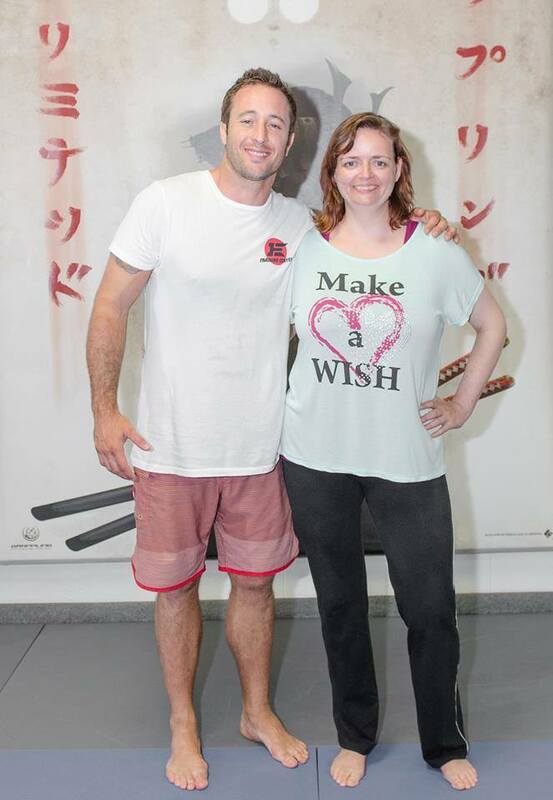 Mahalo to Meiks for sharing her story and pics and of course, Alex and Egan for putting on this wonderful seminar. What a great story!! How wonderful is this man. No matter how long his days are he always makes time for his fans. He’s a legend. Look at Miek she’s so happy. Good for her making her dream come true. It’s so great to read this stories….I’m so happy for you Mieks and of course for us you’re not what people said to you, for us you’re a a pretty example of a lovely fan to follow. Good for you sis!!! I’m so happy for her. LOVE the picture. LOVE the man. DON’T LOVE the shorts.!!!!!! !